Győr’s line-up is still very short regarding the injuries they have. Zsuzsanna Tomori, Jana KNedlikova, Anne Mette Hansen still are not able to play, Nycke Groot is in the squad on today’s match. 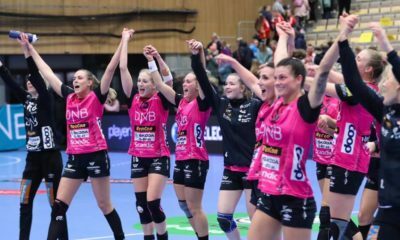 Győr started the game with a lot of self-confidence, a very solid defensive system and Nora Mörk scoring the first five goals of the match for Győr, where the Hungarians were in lead 0-4, 1-5, 3-7. 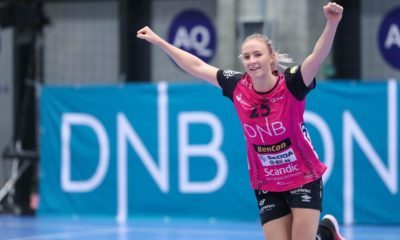 Eva Kiss stopped efficiently the Danish attacks on the Hungarian goal, Kristiansen and company managed to put the first goal behind the tall Hungarian after only six minutes. 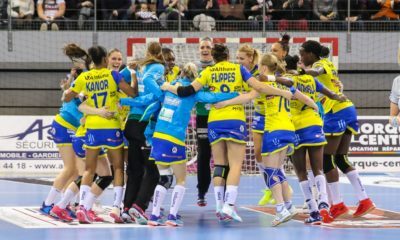 The advantage of Gyor seemed to be stabilized at four-five goals, 6-10 when Anja Althaus remained on the floor in a painful position after an offensive phase and she could not continue the match because of a probable knee injury. The Hungarian team seemed to be lost after this incident as FCM managed to score three quick goals, 9-10 (21.minute). After a timeout from Ambros Martin the guest seemed to calm down and managed to win the first half 12-14, Puhalak scoring two important goals in the dying minutes of this half. The second half started with new Győr goals, 13-16, 14-17, but when Yvette Broch got a 2 minutes-suspension FCM managed to level the game: 17-17. 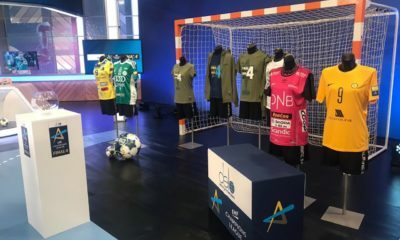 This was a crucial period of the match for both teams as FC Midtjylland had the opportunity to break their opponent if they could take the lead. But Győr had still a lot to deliver, especially Nora Mørk, who made an amazing game, netting totally 13 times against Sabine Englert. After the even result, 18-18, 19-19 and 20-20 the team managing better the match was Győr, 20-21, 20-22. FC Midtjylland led by Veronica Kristiansen equalized again, 22-22 and this was the proper time for Ambros Martin to call a new time-out, telling to his team the following: “we want to win this game, so we need to be good now”. Bernadette Bódi seemed exhausted after several weeks when she had no replacement on her position because of injuries, therefore she missed all her chances, and Martin replaced her with Nora Mørk on the right wing for the last nine minutes. The new situation gave nothing but extra power to the guests as Mørk scored several goals from the wing too in the deciding situations of the dying minutes of the game. Győr increased their lead 23-26 and won the game 24-27 on a quiet difficult away court. With this victory, Gyor wins the group, Brest Bretagne will finish fourth as they lost today against Rostov Don and still are pointless. Do you know something about Anja Althaus injury, how serious it is ? Unfortunately we don’t have any news yet, but we hope for the best! We have new information, in another article about Anja Althaus.